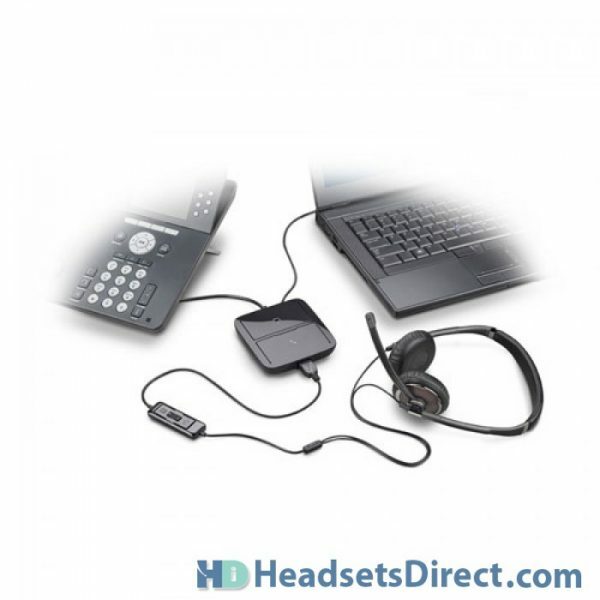 Plantronics MDA220 USB Adapter - Headsets Direct, Inc.
Unite your enterprise voice. 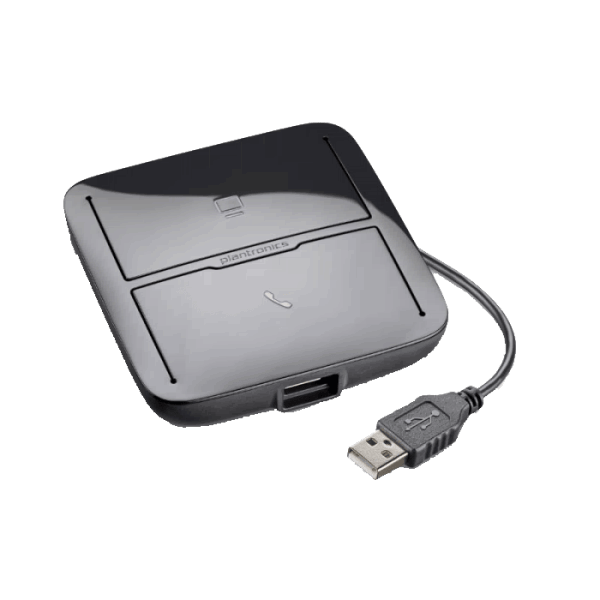 Uniquely designed to solve the communications challenges of businesses migrating to Unified Communications, the MDA220 headset communications hub lets you manage PC voice and multi-media, while maintaining connectivity to your desk phone. Work the desk phone. Launch the softphone. Even take calls on the mobile when the Plantronics MDA220 is used with a Plantronics Bluetooth™ USB headset. Allows choice of one corded or wireless USB headset for users in-the-office or on-the-go. Simple User Interface to easily answer/end and switch between desk phone and PC calls. Manage calls from PC, desk phone or mobile phone when used with Bluetooth USB headsets. 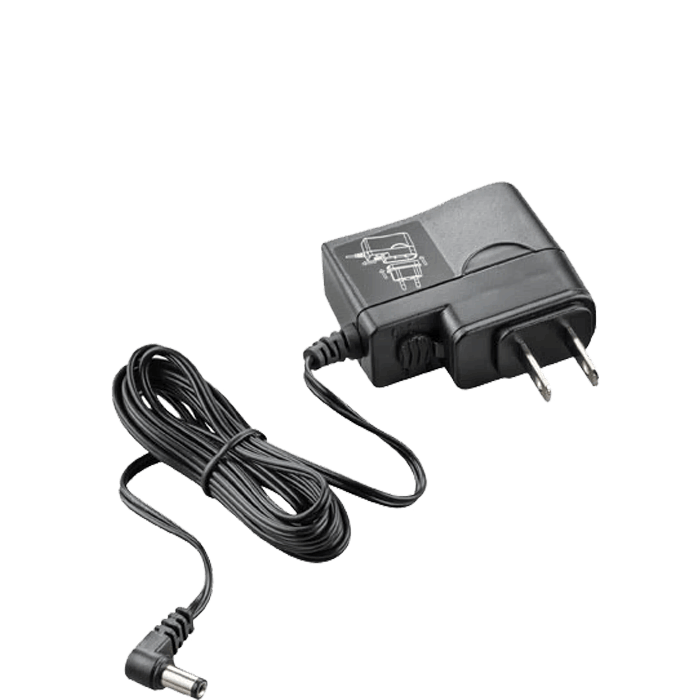 Compatible with Plantronics corded desk phone headsets (H-Series) when used with a DA Series USB adapter. True voice clarity with wideband/stereo audio support. Compatible with softphones from every major UC provider. Upgradable firmware ensures future compatibility and feature support. Use with Plantronics EHS cable or HL10 handset lifter to enable remote answer/end control with the desk phone. 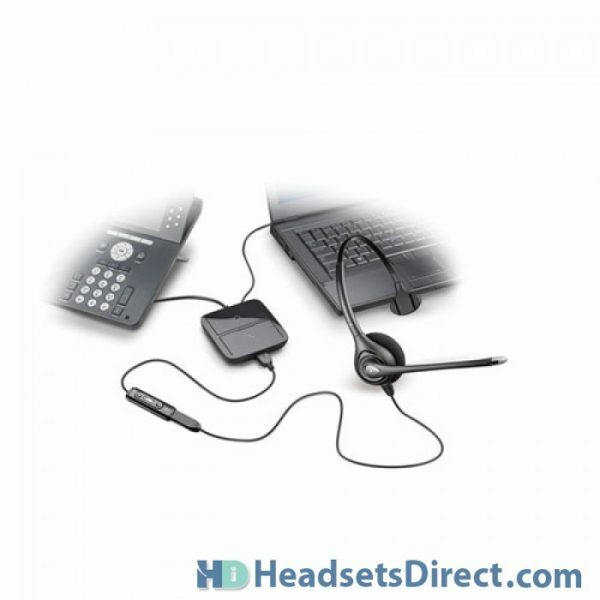 Use with corded or wireless USB headsets or Plantronics H-series headsets (with DA Series USB adapter). The MDA220 was purchased for use on a ShoreTEL phone system. I also wished to explore the possibilities of using a less expensive USB headset or earbuds with a USB adapter since I was told by Headsetsdirect that it would probably work. First, I tried two different adapters with the earbuds and it somewhat worked for listening but not with a microphone. I say someone because I first needed to plugin a Plantronics USB headset then swap it with the earbuds. Next, I tried a Logitech USB headset. Again this was problematic so I gave up on this. Finally, I used the MDA220 with a Plantronics headset. It worked with the Plantronics but the MDA220 often went offline requiring me to fuss with unplugging the device to redirect the headset. I used it for a few days and became mildly frustrated with it. This would never be accepatble by someone that was not technical or had no patients for fussy tech. Overall the MDA2220 is a fail for me purposes. I only wish that I could return it to headsetsdirect but the cleaning crew took the packing out with the trash. The MDA220 will likely go into the trash too. The MDA220 can be complicated because you’re adapting USB headsets to a deskphone. An A/C adapter may also come into play to help with how devices are defaulted. There are much easier solutions available for ShoreTel phones that don’t require the MDA220.